Would really like to read "The Coloring Crook". Sounds like another great read from Krista Davis. Yes please I'd love to put it on my bookshelf right next to the other one. 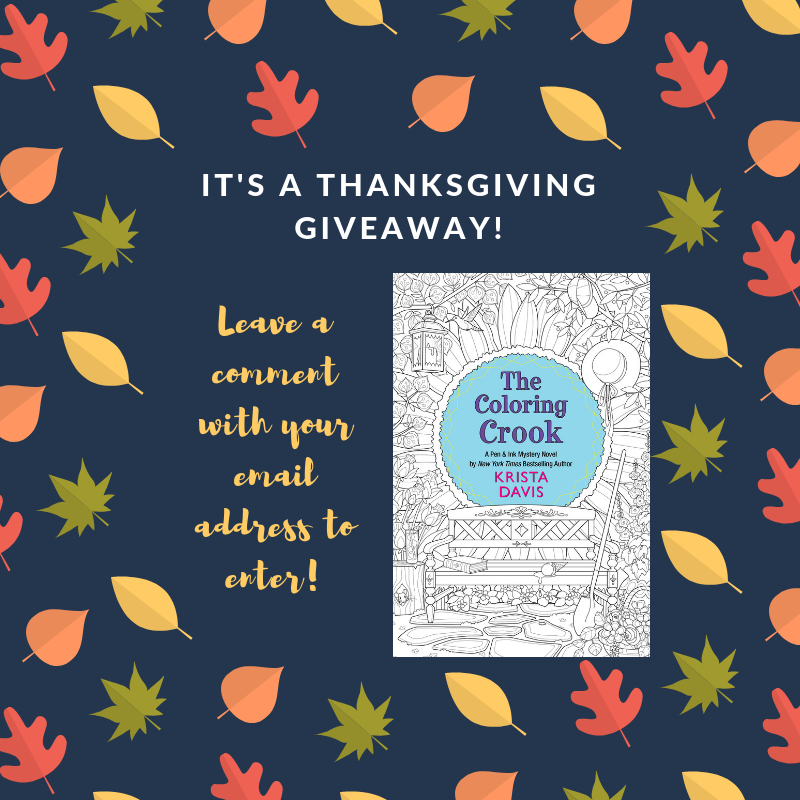 Thanks for the chance to win a copy of The Coloring Crook! Oh yes! Please consider me. I am loving this series so far. Would love the chance to win. mcastor07 (at) gmail (dot) com. Nice! Thanks for the giveaway. The colouring crook....I like that! When we were kids we used to play in a building site down the street from my cousin’s house. It wasn’t fenced so we weren’t technically breaking in.